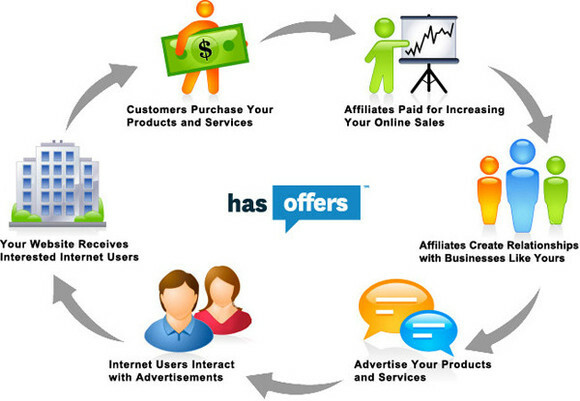 With the Economy the way it is, Affiliate marketing has appealed to many looking for that extra source of income. Everyone is trying their hand at building their own home based business. One of the biggest advantage is that a great deal of technical knowledge is not required. Little or no start-up cost is needed to get going. These two points alone contributes to affiliate marketing being very popular. To start off, you could set-up a blog and write some relevant articles with affiliate links. Next would be to promote your website, and vola, you pratically have something that goes on autopilot. As a matter of fact, you would only have to do periodic testing and tracking to make sure your selected links are being productive. Basically, affiliate marketing is just promoting products for a merchant, who will in exchange, pay you a percentage of each sale you make through your links. There is no worrying about sending products, dealing with customer service or other bothersome aspects of a normal brick and mortar business. Product development or distribution is not needed. The merchant deals with all of the technical aspects of the product. As a matter of fact, your dealings with the customer ends with the sale. You must, however, be selective about what products you promote. Here's where research comes in, an affiliate marketer's most important tool. Researching potential customers and what they are buying. If your thing is physical products, then Amazon or Ebay are great choices. Check out Google trends and do keyword research using Google Adwords Keyword Planner. If you're more into digital products then networks like Clickbank, JVZoo and Clicksure would some good choices. When you find that product you want to promote, then make sure the merchant supplies free affiliate tools. By tools we mean, articles, pre-written emails, banners and be sure to copy down your affiliate link correctly. With these tools provided, you can save a lot of time when creating a campaign to promote. Now, a disadvantage of affiliate programs is the competition with other affiliates for traffic and sales. Keyword research, the keywords should have at least 100 searches a day but not more than 50,000 competitors. This makes a good starting point, until you get more experience. Researching the affiliate program is a good idea. You will want to check the reputation of the company for regular pay outs and any bad feedback from other affiliates. It is better to stick with the afore mentioned networks, Clickbank and JVZoo. With these companies you can count on your interests being protected as far as payments and support. Getting into affiliate marketing has its ups and downs. However, going over these simple rules will help you avoid downfalls and get you to making money a lot quicker. If you are planning on promoting from Clickbank, here is a great program that will allow you to create an Affiliate Storefront.